Optimum amount of heavy metal in soil is essential for proper growth of plants. However, presence of these metals in higher concentration is detrimental and harmful for plant kingdom. Accumulation of heavy metals in soil can inhibit the growth as well as ability of absorbance of nutrients from soil in several plants. Toxic tolerance and response toward these heavy metals vary among plant species, and this variation is directly related to genetic constitution of plant genome. 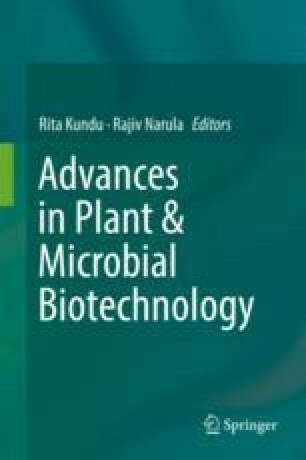 The present study is a comparative account on the effect of ZnSO4 and CuSO4 on Vigna radiata, Triticum aestivum, and Cicer arietinum plants exposed to heavy metals. The plants were treated with different concentrations of ZnSO4, CuSO4, and combined ZnSO4 and CuSO4. Different concentrations of Zn and Cu independently showed significant effect on different parts of plants. A significant synergetic effect was also observed in treated groups when compared with controlled plants. This study contributes valuable information on effect of heavy metals present in excess amount which lead to the changes in genotypic and the phenotypic characteristics of plants.